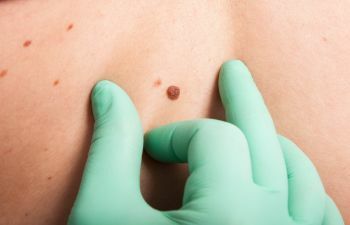 If you have not had a skin cancer screening recently, it’s essential to book your quality skin cancer screening with Dr. Weisman at Medical Dermatology Specialists. Before you come in for your appointment, we have a few tips for you to make your appointment as effective as possible. Know your skin. Before you come to your appointment, let us know of any changes you’ve noticed over time. Let us know of any growths or changes that could be a warning sign of cancer. Be prepared to take off your clothes so we can discreetly examine every part of your body. A medical exam gown will be worn for the duration of your appointment to replace your clothes. Show us any areas of your skin that are bleeding or itching. The screening usually takes about 10 minutes unless we see anything unusual that will require further investigation. We will be checking for the “ABCDEs” of moles. (Asymmetry, border irregularity, color, diameter, evolving). Call Dr. Weisman at Medical Dermatology Specialists today. She can give you a prompt and accurate diagnosis of your skin cancer and discuss your specific skin cancer treatment or removal options. Schedule your skin cancer screening today.